The BettPlex LLC is a new, 76 acre sports facility open to the public in Bettendorf, just off I-80. This huge, new complex houses the TBK Bank Sports Complex and High 5 Lanes and Games. 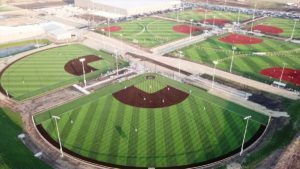 The TBK Sports Complex offers a wide variety of sports facilities like: 10 lighted turf baseball/softball fields, 2 lighted turf soccer fields, 5 sand volleyball courts, 11 vs 11 multipurpose turf field, 8 regulation basketball/volleyball courts, fitness center, and a Physical Therapy facility. High 5 Lanes and Games is a family entertainment center that features: 32 bowling lanes, 65 arcade games, 2-story laser tag, 2 escape rooms, and a sports bar. If that wasn’t enough there are plans for a retail strip mall, gas stations, and a hotel near the complex. 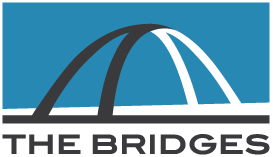 Because we are building The Bridges Lofts with an active lifestyle in mind, The BettPlex is a great new addition to Bettendorf and we hope our future residents utilize and enjoy this new gem in the city of Bettendorf.